Centre for Women's and New-born Health, College of Medical and Dental Sciences, University of Birmingham, Edgbaston, Birmingham, B15 2TT, United Kingdom. Institute of Metabolism and Allied Health Systems Research, University of Birmingham. Fetal Medicine Centre, Birmingham Women's Foundation Trust, Edgbaston, Birmingham, B15 2TG, United Kingdom. Professor Kilby was appointed as an Honorary Consultant in Obstetrics and Fetal Medicine at Birmingham Women’s Foundation NHS Trust and has a Senior Lecturer in Fetal Medicine at the University of Birmingham in March 1996. He is presently a Professor of Fetal Medicine at the University of Birmingham and an Honorary Consultant in Obstetrics and Fetal Medicine at the Birmingham Women’s Foundation Trust. 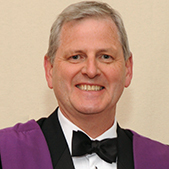 Professor Kilby was promoted to a personal Chair in Maternal and Fetal Medicine at the University of Birmingham in June 2003. Professor Mark Kilby is a Fetal Medicine subspecialist and obstetrician based in Birmingham, UK.